On September 27, 1992, Trinity ordained and installed the Rev. John H. Schroter, grandson of the Rev. Frederick Kissel, and a graduate of Concordia Seminary in St. Louis, MO. Since 1992, new Bibles, hymnals, and bulletin inserts for worship were purchased. Worship services for special occasions were added. Adult and youth Bible instruction classes were offered at various times. The Evangelism Committee was revived, and the Stewardship Committee was established. The existing organizations – Trustees, Foundation, Sunday school, Choir, and Altar Guild continued to be active. Outreach to the community has included the English as a Second Language program, variou mailings, and distribution of packets of literature to church visitors and residents in the Cliffside Park and Bergen County area. Outreach has involved cooperation with the Lutheran Mission to the Japanese in Bergen County; home, evangelism, and canvassing calls; and communication between church and community by advertising in the local media. Trinity participated with a float and banner and contributed a page for the commemorative booklet in Cliffside Park’s 100th Anniversary in 1995. 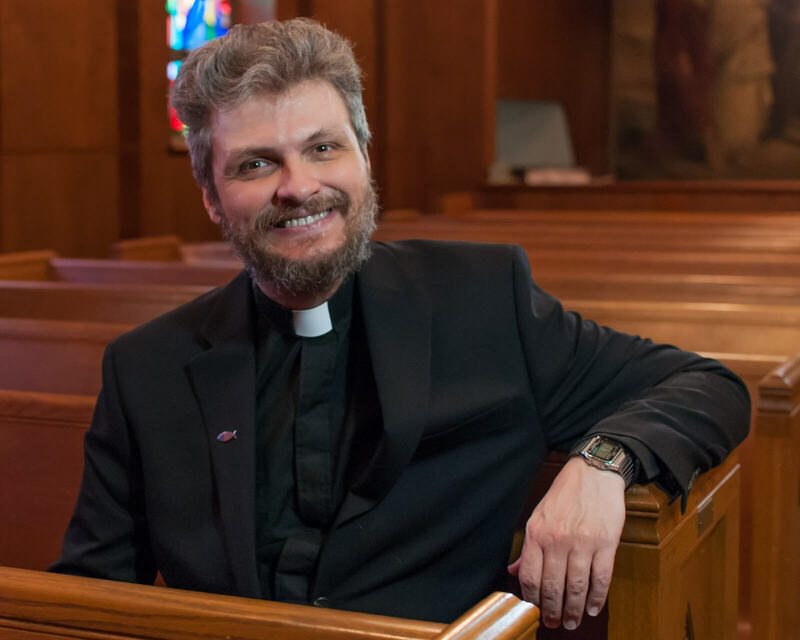 Pastor Schroter’s service to the Church has extended to a 2-year tenure as the Counselor for the Bergen County Circuit and senior citizen chaplaincy, including a weekly a worship service at the Fritz Reuter Altenheim in North Bergen.